– Inclusivity, not exclusivity. Our club is open to anyone and everyone who’d like to take part, and we aim to give equal attention to each child, regardless of their level of ability. We aim to nurture every child’s love for skiing. – All-round excellence. We aim to teach children to ski well in all conditions and over all types of terrain. If there’s fresh snow, we’ll go exploring off-piste. If they’re keen to jump, we’ll teach some tricks. If the children want to go fast, we’ll set some gates and teach them racing techniques. The main aim is to learn, and to have a great time doing it. We aim to produce great little skiers. – Safety first. We aim to teach a high level of respect for the mountain environment. Children will be educated about avalanche safety, ski etiquette and what to do if there’s an accident. Older children will be taught how to use up-to-date avalanche safety equipment, along with an understanding of snow conditions and avalanche risks as they’ll become more interested in all terrain and off-piste skiing. We aim to produce responsible, educated skiers. – Challenging. Ski Club kids are usually regular skiers with parents who’re capable skiers themselves. We aim to teach your children things you cannot teach them yourself and to take them places you can perhaps not reach yourself. Our team is made up of professional experts, so your children will learn the right way, right from the beginning. You’ll be astounded by the things they’re capable of. During the 2019 winter season the ZigZag Ski Club will run on Saturday afternoons from Samoëns 1600m. This winter we’ll again be running a Snowboard Club from Samoëns 1600m. Coached by an elite professional snowboard athlete, beginners and experts will have the chance to develop their riding skills right here in the Grand Massif. For children aged from 3 to 6 years, we run a Tiny Tots Ski Club. These lessons offer a higher instructor to student ratio and shorter lesson time for younger children. The idea is to provide an intensive introduction for total beginners during the Christmas week, which we can then continue to build on all season. A focused group for children, teens and adults who want serious race training. Intensive slalom, GS and freeski coaching provides a whole new challenge for advanced skiers. Federally-qualified race coaches will fine tune your technique on a one-to-one and group basis. Ideal for anyone interested in becoming a ski instructor themselves, this training will include video analysis. This year we’re offering a new option for advanced adolescent skiers who are keen to improve their skills off piste. Our Freeride Club is 100% off-piste oriented and designed to teach advanced youths how to ski all kinds of terrain in a safe and educated manner. Riding hard and fast is one thing, but skiing advanced terrain like an educated professional is another. We aim to develop personal and environmental awareness, courtesy and care for others, responsibility and reactivity. 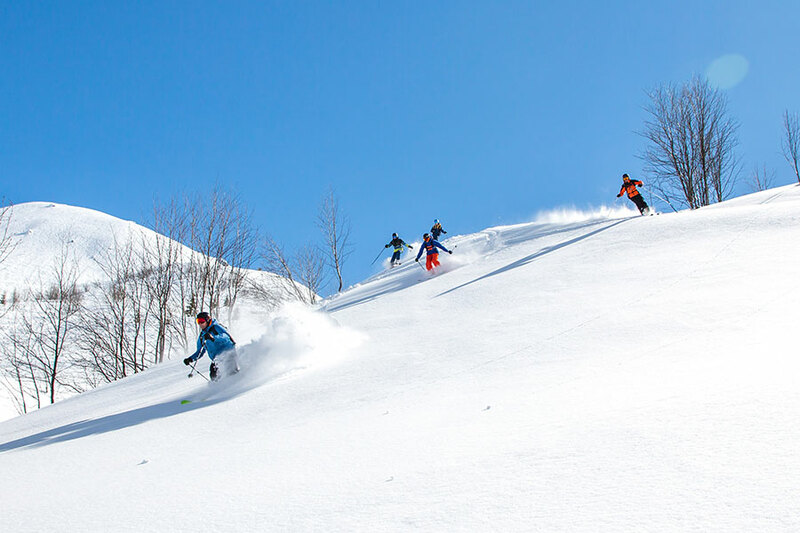 The Freeride Club will potentially participate in freeride events in other resorts and a special season schedule will be developed by the coach in consultation with participants and parents. New coaches will be on hand this year, bringing with them an entirely fresh new approach! Participants must have already achieved the Diamond Crystal medal (or ESF Etoile d’Or) and should be equipped with skis suitable for skiing off piste. ZigZag will provide avalanche safety equipment including ARVA avalanche beacon, shovel and probe. When enrolling, please indicate your current level of ability according to this list and let us know what you’d like to work on during the season. A minimum of 6 participants will be required for a Masters group to run at any given level. Enrolling more than one person? Digressive pricing now makes it easier for families!